I’ve been wanting to try this spot for a while now and didn’t realize we were nearby. The Original Ramen Burger was made by this other ramen blogger who was originally from the OC and moved to Japan to cook ramen. He then moved to New York to open his own ramen burger restaurant. Now it’s here in LA! 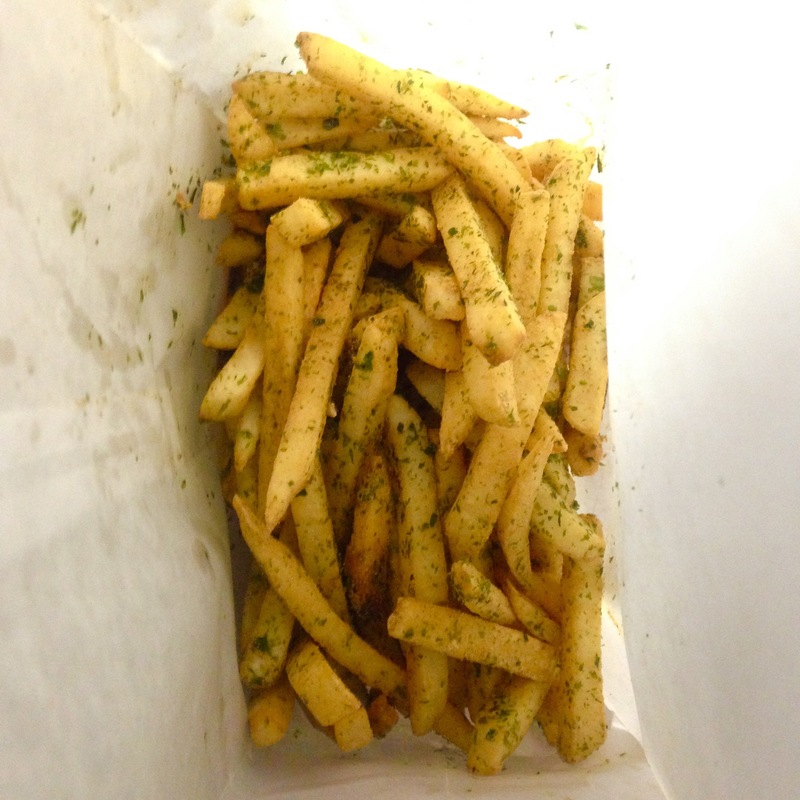 Tasty garlic and seaweed fries! The ramen burger was a lot smaller than I expected. It didn’t have much else other than a patty and some arugula. But the beef patty was juicy and the buns were chewy yet crispy on the outside. Whatever sauce it had was good. Other than that, I can’t stay it stood out and it really wasn’t enough to fill our stomachs. Honestly, I might go back just to give it another try, and perhaps try something else on their menu. But that can wait. We killed some time by getting some tea nearby, but eventually made our way back to Silverlake Ramen. Luckily, our name on the list was called shortly after we arrived. I ordered the vegetarian ramen just to balance out having a chunk of beef. Haha! I must say, Silverlake has the best vegetarian ramen I’ve ever had and I would drive out of my way just for that. 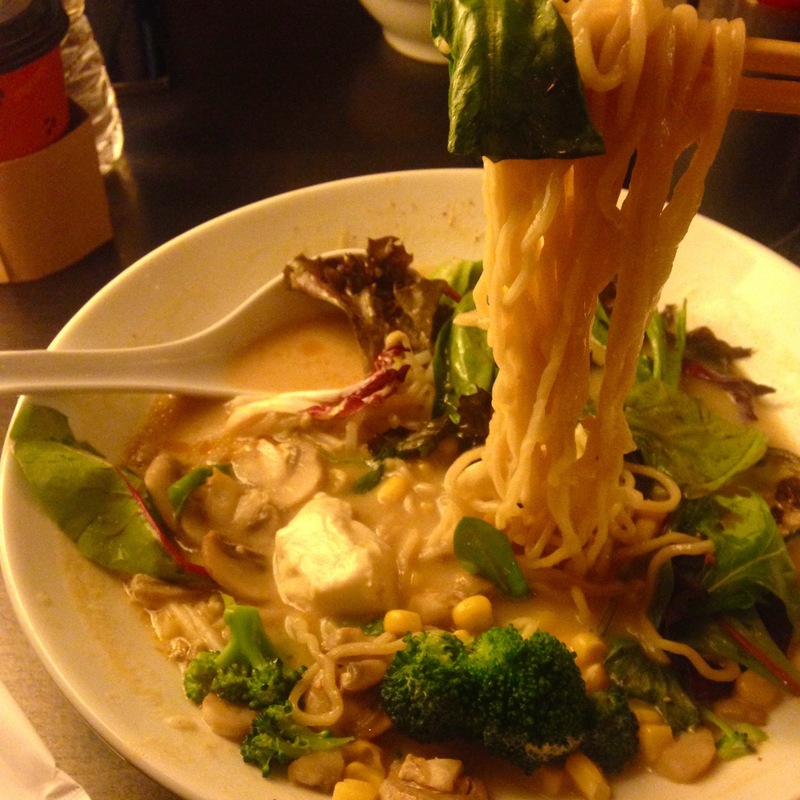 I’ve blogged about it before (Hipster Ramen) and it is just as good as I remember it. I can’t believe I ate so much ramen that night! But that’s how hungry we were. Good times! 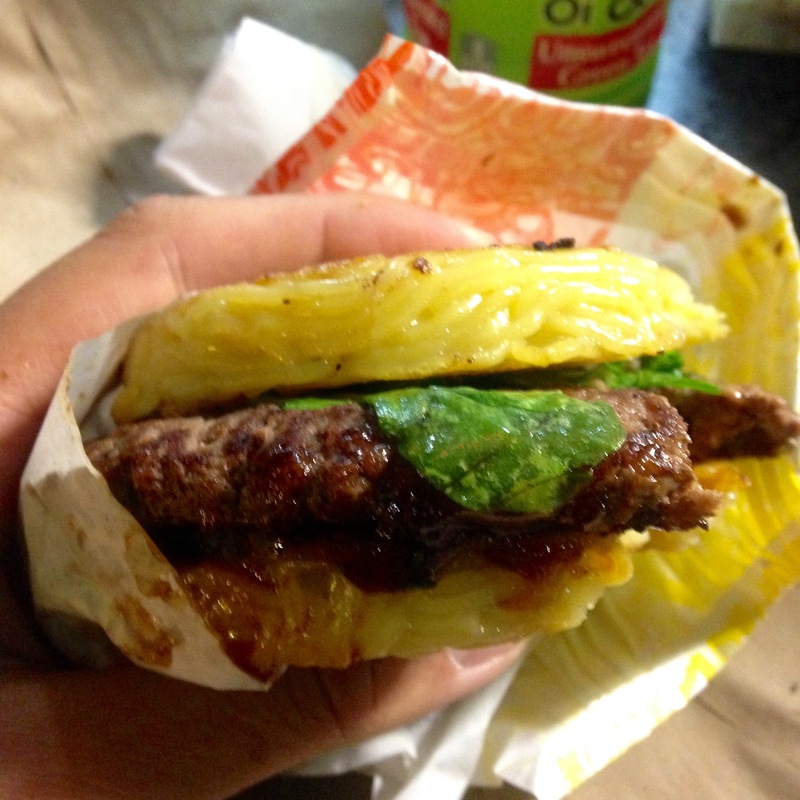 I actually owe a blog post about another ramen burger I’ve tried recently so stay tuned. Thanks for reading! We took a Lyft from Silverlake to get there. But there was some street parking nearby. If you’re gonna check this place out during the cold season, keep in mind, it’s not a sit-down spot. They have chairs outside and a bar table, but that’s it. 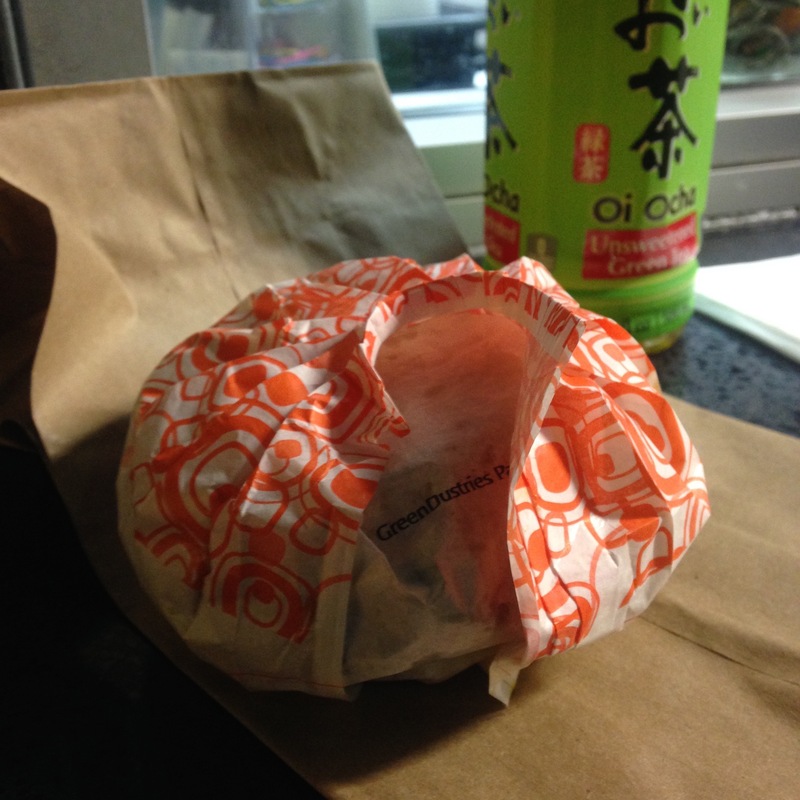 This entry was posted in Ramen, Ramen Burger, Restaurant Review, Vegetarian and tagged burger, Hipster, koreatown, Ramen, Ramen Burger, Silverlake, Vegetarian. Bookmark the permalink.